17 years ago, on my first visit to Malawi, I went with Kiston Mhango to renovate some wells and we discussed various water problems. I told him about computers – he thought I was a looney talking star wars rocket science! Now we are installing broadband in Kiston’s office so that he can link up with the university to map wells, troubleshoot, access water testing, contact donors, find information and realise a very long-held vision. Kiston heads up the large Primary Health Care Department at Ekwendeni. 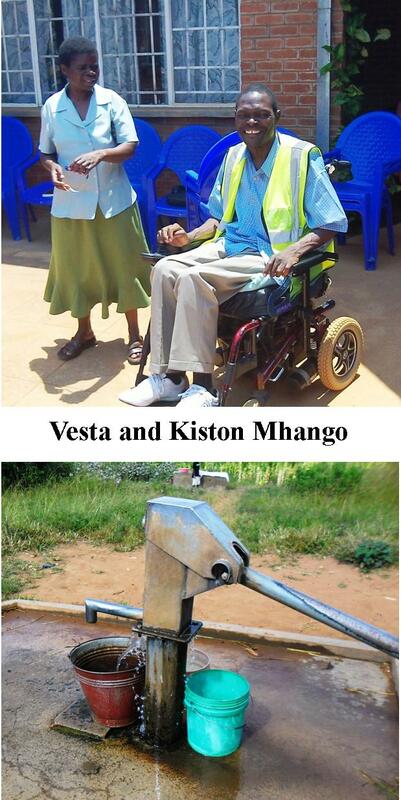 Kiston and Vesta are a remarkable couple. It was Kiston’s vision 30 years ago that initiated primary health care to the villages in Northen Malawi – a vision that has been replicated world-wide. Vesta leads the small businesses unit and has somehow made small businesses function where big aid agencies have failed. There is a lot of other news about water – linking up various agencies, getting the practical work done, setting up a technology and development centre, water testing and planning. Hopefully we will get an update on that from John when he returns.